I remember winters in New York City. Lots of rain and bone-deep wind chills off the Hudson. Snow — when it does come — turns quickly to slush and ice. I can’t deny I love winter, but sometime around the end of January, beginning February, all I wanted was to see the sun shining again. During those bleak midwinter days, I usually used my messenger bag to get to class and not a backpack. It fit better over my coat, and if ever I needed to get something out of it while still outside, it was much simpler to access (most importantly, I didn’t have to take my gloves off to do so). Most people associate messenger bags with summer and biking, but here at John Peters New York, we understand those bitter days and the small conveniences of carrying your bag across your hip instead of your back. With all of our bags made of water-resistant cordura plus nylon, we feel confident heading out in the rain and slush without worrying about losing our valuables inside to the elements. Concerned a messenger bag is too small for what you need? John Peters New York offers messenger bags in three different sizes, including a large one for those busy days. You’d be surprised what you can fit inside — I remember taking enough for five classes in my old bag and not having trouble — and with the adjustable shoulder strap, you can distribute the weight across your body to keep your shoulders healthy. Sometimes you just need to get through January (that was always true for me). Get through it warm and in style with a John Peters New York messenger bag — trust me, when you realize all your things are at your fingertips and you don’t have to remove your gloves — you’ll be thanking yourself. To find out more, visit www.johnpetersnewyork.com. 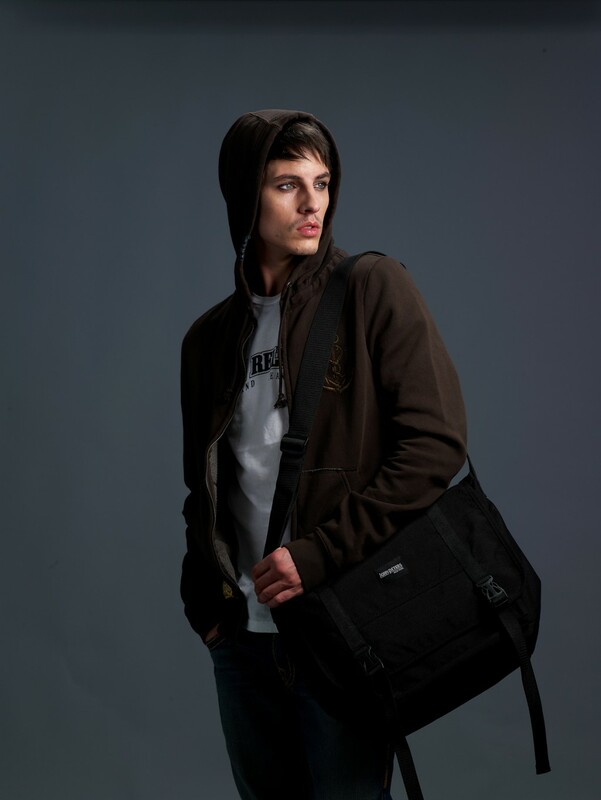 Share the post "John Peters New York Urban Messenger Bags"
Posted in Blog and tagged John peters New york bags, john peters new york messenger bags, messenger bags, school bags, student bags, student messenger bags. Bookmark the permalink.